Rosie Perez is joining the DC Universe. Another badass had been added to the cast of DC’s upcoming superhero film, Birds of Prey. 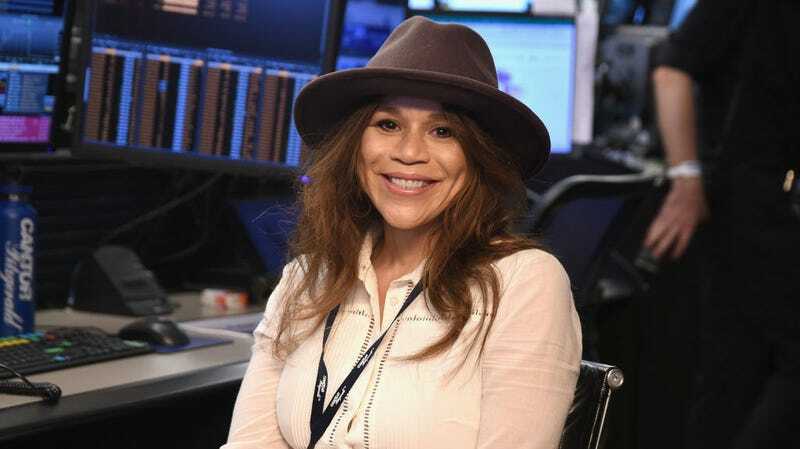 Rosie Perez has joined the cast as Renee Montoya, a gay Gotham City police detective who occasionally becomes a hero named the Question in the comics. The Wrap broke the news of the casting. Perez joins Suicide Squad’s Margot Robbie, once again playing Harley Quinn, as well as Jurnee Smollett-Bell as Black Canary and Mary Elizabeth Winstead as Huntress. Cathy Yan is set to direct, and the movie is aimed at a February 7, 2020 release. It’s unclear if this version of Montoya will take up the mantle of the Question in the film or just be a police detective with future superhero potential. The story of her taking on the mantle of the Question from Vic Sage after he died of lung cancer was retconned a few years ago—but that doesn’t mean the movie can’t do it again. Either way, Perez is a great actress who has been known to bust a head or two in her movies. She’s a perfect addition to a world of superheroes. Also, I just have to mention this: the fact that Perez may play a character named the Question when one of her most famous roles involved Jeopardy! questions (in the 1992 comedy White Men Can’t Jump) is a perfect Hollywood coincidence.